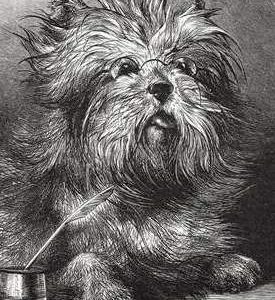 This front page illustration was one of many by a host of artists who responded to an attempt to raise a tax on dogs. Debates raged on whether some dogs should be exempt from the proposed tax and most agreed that any tax on dogs was a preposterous suggestion. 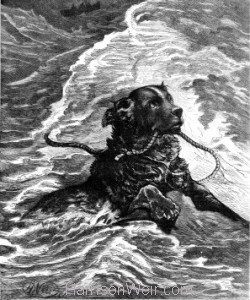 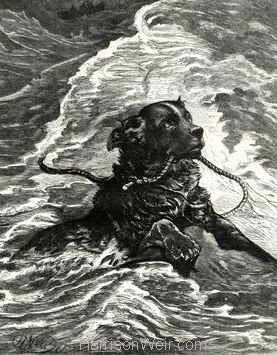 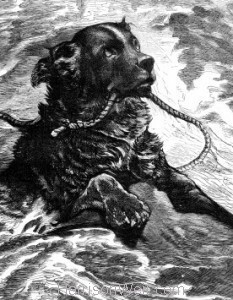 In this image, we see a Newfoundland dog rescuing sailors adrift in a boat, by leading the boat back to shore by a rope. 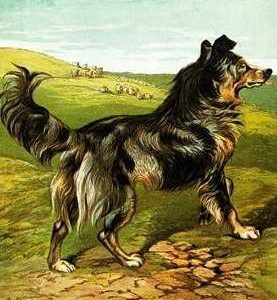 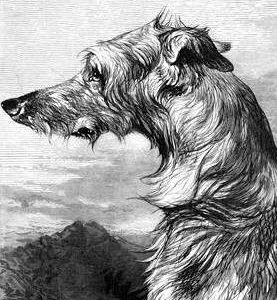 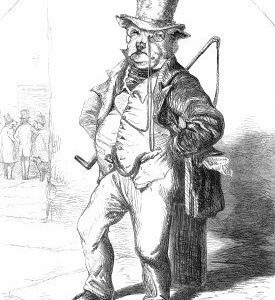 The image is entitled “A Dog Which Ought Not To Be Taxed” and it appeared on the front cover of the March 1st, 1880 issue of “The Animal World”. 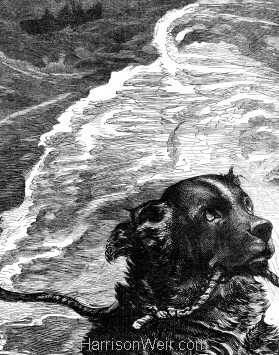 We show here the full cover page and then the full width image. 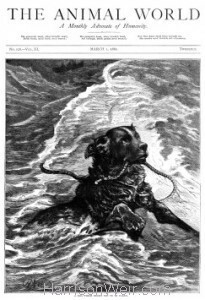 If you wish to obtain a print that includes the full page with Animal World title, please contact us and we will arrange for that possibility, otherwise the image will be produced by itself, with our normal Harrison Weir logo and provenance. Available in A4, A3 and A2 sizing options.